This week, President Trump told Axios in an exclusive interview that he plans to sign an executive order to remove the right to citizenship for babies of non-citizens and illegal aliens. On Wednesday morning, President Trump doubled down and vowed to end birthright citizenship for illegal aliens. President Trump ripped into the outgoing Speaker of the House on Wednesday afternoon over his comment on birthright citizenship. TRUMP: Paul Ryan should be focusing on holding the Majority rather than giving his opinions on Birthright Citizenship, something he knows nothing about! Our new Republican Majority will work on this, Closing the Immigration Loopholes and Securing our Border! Paul Ryan has never worked to advance the ‘America first’ agenda; he vowed to work against President Trump before he was even sworn into office. 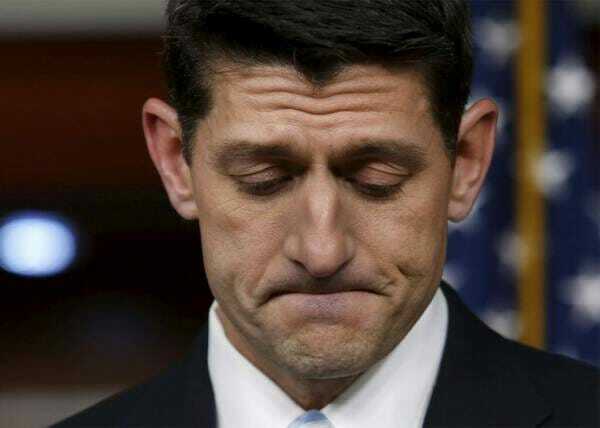 Thankfully Paul Ryan is retiring this year–good riddance!